Editors Note: This is the second article in our Chinese New Year series explaining the traditions and customs of CNY, as well as exploring its spiritual significance. Chun Jie (春节), known as Spring Festival or Chinese New Year in other cultures, is the most important, as well as one of the oldest holidays in Chinese culture. It starts from the first day of the Chinese lunar calendar and lasts to the 15th day, with different activities being held on each day. That’s why the date of Chinese New Year changes every year; this year, New Year’s Eve is February 4th, and New Year’s Day is February 5th. Often, Chu Xi (除夕), Chinese New Year’s Eve, is an occasion for Chinese families to gather for the annual reunion dinner, and dumplings are a must-have item. Watching the Spring Festival Gala together has also become a family tradition over the past 30 years. 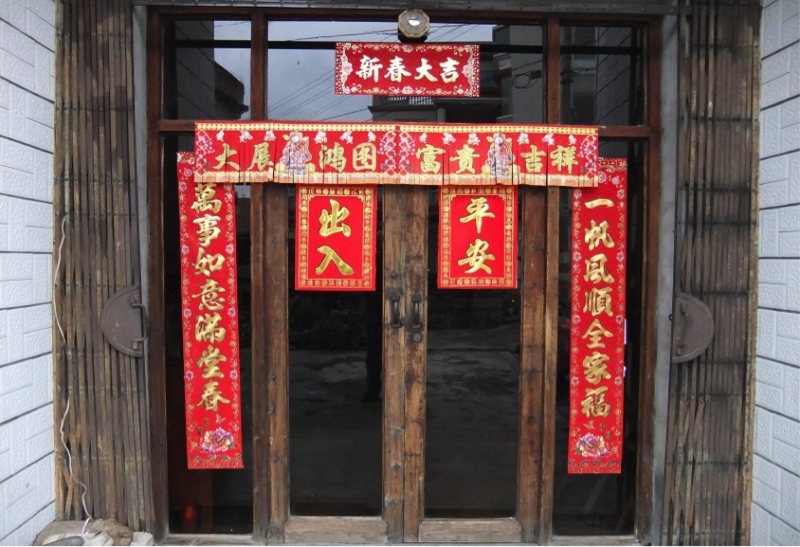 It is common to see the windows and doors of every house decorated with red color paper-cuts, and couplets with popular themes of good fortune, wealth, and longevity. Other celebratory activities include lighting firecrackers and giving money to children in red envelopes. According to tales and legends, the beginning of the Chinese New Year started with a mythical beast called the Nian. Nian would eat villagers, especially children. To protect themselves, the villagers would put food in front of their doors at the beginning of every year. It was believed that after the Nian ate the food they prepared, it wouldn’t attack any more people. One day, a villager decided to get revenge on the Nian. A god visited him and told him to put red paper on his house and to place firecrackers. The villagers then understood that the Nian was afraid of the color red. When the New Year was about to come, the villagers would wear red clothes, hang red lanterns, and red spring scrolls on windows and doors. People also used firecrackers to frighten away the Nian. From then on, Nian never came to the village again. The legend of Nian has been told in other slightly different versions. In the one I remember, the villager was told to slaughter a chicken and use its blood to cover the doorpost in order to protect the house from Nian’s attack. Does this story sound familiar to you? Does it remind you of the Passover in the Bible? Years ago, people living in the countryside of China used to cover their doorposts with chicken blood as a way to assure their family’s safety from unclean things. Later on, the custom evolved into using red spring scrolls and banners to decorate house doorpost and windows. When I first read about the Passover, I immediately thought of this legend about Nian and I was astounded. It was my first time to realize maybe this myth is a trace that God left for Chinese people about his existence. If you ask your Chinese friends to share the story of Nian with you, maybe they will discover something new about it this time. In the past, I’ve told the story to Chinese scholars and students, and we had great conversations and discussions after that. Many of them shared other Chinese cultural traditions they could think of that are similar to those recorded in the Bible. It’s a great opportunity to raise Chinese people’s awareness about God’s plan and promise to China and to Chinese people. You can consider making Chinese New Year the theme of your Bible study or fellowship that week and invite a Chinese believer student to tell Nian’s story to the group. It would be interesting to study the Passover story and link it to Jesus being sacrificed in order to protect all of us from God’s wrath. If it’s a low-key fellowship, you could organize a dumpling party, which is traditional food for Chinese New Year, and invite your Chinese friends to celebrate together. This would be a great opportunity for you to show your love and care for them, as well as to learn about their Chinese New Year experiences back in China. Chinese people put heavy value in the quality time spent together, so events like this can build up your friendship to a new level. If you are invited by your Chinese friends to join their New Year party, it really says much about how important you are to them. Once they open their hearts and begin to involve you into their lives, it always means they trust you and you are in the circle of close friends. 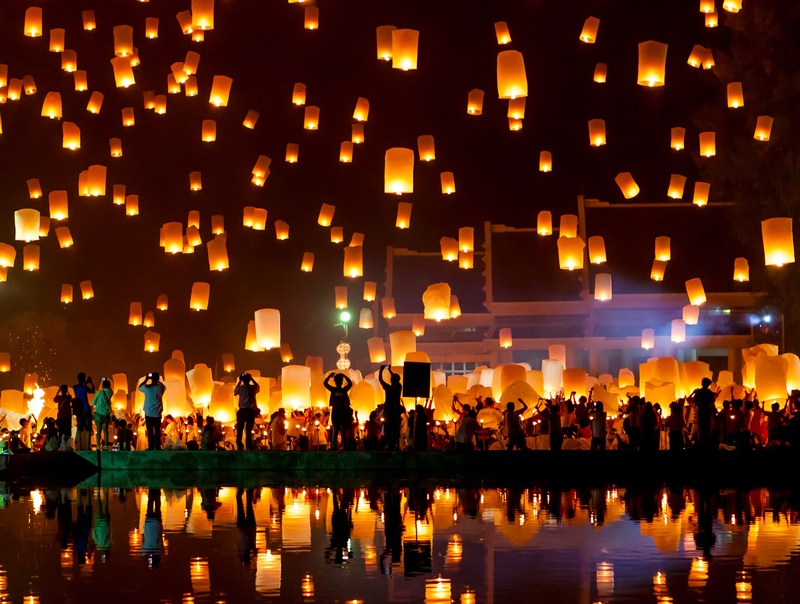 Chinese New Year is a great time for fun, for fellowship, and for spiritual conversations. I pray that God will use each one of us to learn new things and share God’s love with our Chinese friends during this year’s Chinese New Year celebration.